University Project by Matthias Kampitsch & Jürgen Röhm, 2012. 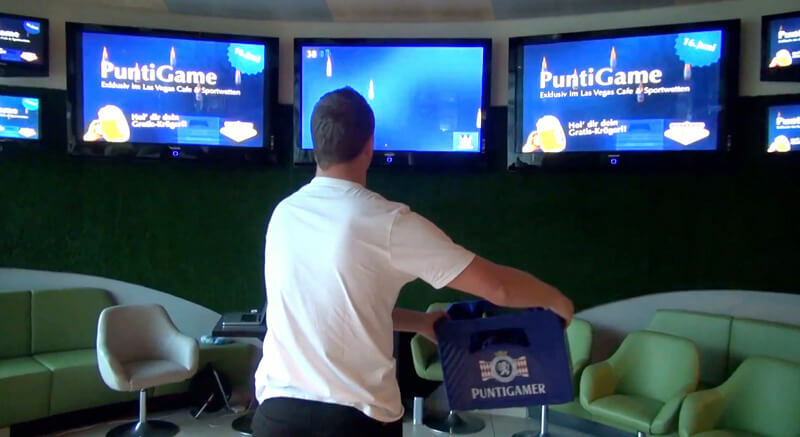 The PuntiGame is a “beery” interactive game installation, where a beer crate is used as the controller device. Goal of the game is to catch as many of the falling virtual bottles as possible and win a free beer. Since the gameplay is so simple and interaction options are limited, almost everybody immediately understands how the PuntiGame works. We developed the PuntiGame using the WiiMote controller, some IR LEDs and AS3. I did most of the programming and some of the graphics.